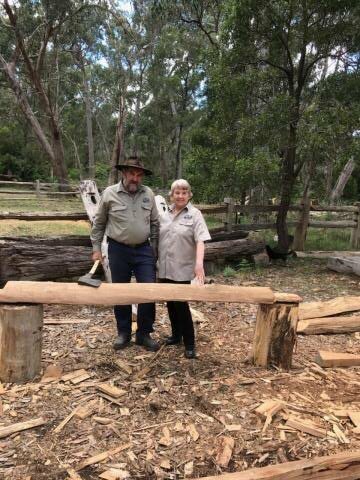 As well as being real power houses when it comes to CIKA, Christine and Andrew Duyvestyn have, for many years, been involved with a broad range of volunteer works throughout their local area. In recognition of this of this community involvement they were named the 2015 Moyne Shire Australia Day Citizens of the year. This award recognizes the outstanding service and contribution to their local community over a number of years by an individual or individuals. It comes hard on the heels of their receipt of the Madge Tate award from the Royal Children’s Hospital. (Photograph at right.) The CIKA team congratulates them on their achievement. This recognition is well deserved. The Citizen of the Year Award acknowledges outstanding service and contribution over a number of years given by an individual, or individuals, to their local community. 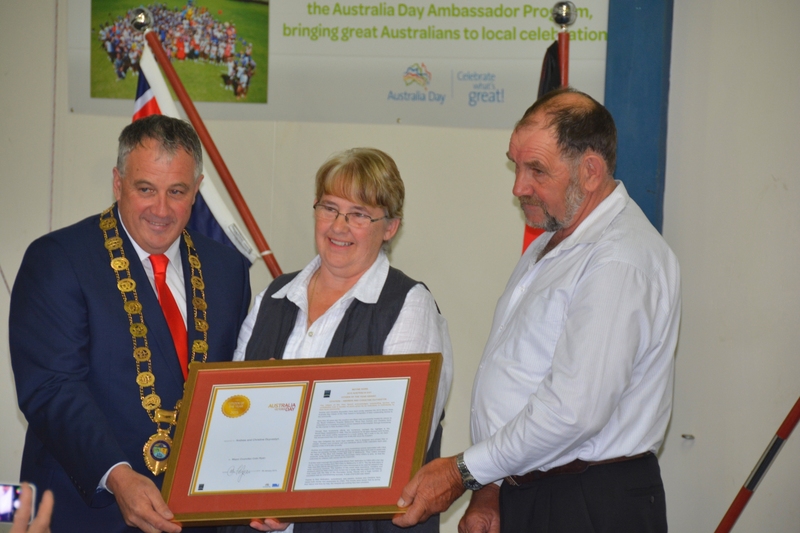 Andrew and Christine Duyvestyn have been jointly awarded the 2015 Moyne Shire Australia Day Citizen of the Year Award in recognition of their outstanding service to the community. More than 30 years ago the couple’s son Dean was successfully treated for cancer at the Royal Children’s Hospital Melbourne. Since then Andrew and Christine have embarked on a crusade to support cancer research at the hospital, through fundraising for the Cancer in Kids Auxiliary (ClKA). Though their fundraising efforts are numerous, perhaps the highlight is the ‘Wood Days’ established in 1996. This fun weekend for all ages displays work horses, engines and wood cutting equipment in a bush setting ‘like it was in the old days’. The annual event has now raised over $160,000 since its inception. They also instigated the wood days calendar, that is designed and printed free of charge. Andrew and Christine sell and distribute about 2,000 calendars each year, raising a total of $10,000 annually. Andrew and Christine also attend as many fundraising events associated with ClKA as they can possibly manage, in particular they set aside days each year to assist with the setup of The Blue and Orange Ball held in Melbourne. They collect donated products, invite family and friends and encourage many others to give, so that the outcomes for children with cancer can be improved. If all this wasn’t enough the couple have shown their dedication to CIKA with a ten day trip by coach and horses from Port Fairy to Melbourne in 2013. The trip took place to help raise $50,000 for the purchase of a Leica microscope to be used for research into solid cancerous tumours. The logistics of this event were enormous, Christine and Andrew’s vision for their coach drive turned into a reality after two years in the making. This event with the help of the Duyvestyn family, friends and a huge number of volunteers was an overwhelming success. A total of $74,000 was raised. Thanks to their dedication, commitment, and passion Andrew and Christine have raised both money and awareness for CIKA. The couple have shown that by giving their labour and time for free, the rewards are nothing less than priceless. 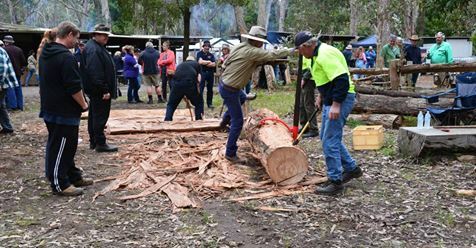 The Wood Days Weekend is an annual event organised by Andrew and Christine Duyvestyn who have been untiring in their efforts to raise money for CIKA. It takes place over two days each November on their bush block in Milltown near Hamilton in Western Victoria, and has raised over three hundred thousand dollars so far to support research to find cures for the many forms of childhood cancer that continue to devastate so many families. 2018 saw the 23rd Annual Wood Days on November 10 and 11. Andrew and Christine are now planning the 2019 event which will take place on November 9 and 10.